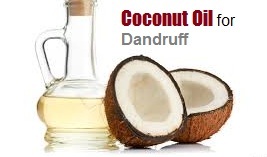 Coconut oil has been known to help increase the strength of your hair. It also aids with hair growth.  One of the variables for healthy hair growth is a healthy scalp. If your scalp is dry and you are suffering from dandruff, this coconut oil home remedy treatment may be the right one for you! 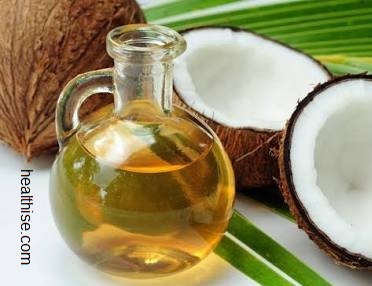 As mentioned in previous posts, coconut oil not only promotes a healthy scalp by aiding in the removal of dandruff, but it also moisturizes dry hair, adds shine, and penetrates your hair to help reduce the instance of breakage and split ends. This in turn helps reduce hair loss. is used in the removal of fungus? Some dandruff can be caused by a certain type of fungus, so if you have tried everything in the store, and nothing has worked to remove your dandruff problem, give this a try! in a small cup or bowl in about 10 second increments in the microwave if you don't want to use the double boiler method. Make sure the oil is not too hot for you to handle, or too hot for your scalp. Separate your hair out into sections to make it easy for you to apply. Dip your fingertips into the oil and massage into your scalp gently. 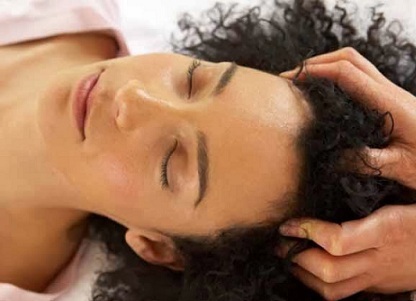 Massaging your scalp helps promote blood circulation which is important for your scalp and hair! Do this until your entire scalp is coated. You can put the rest on your hair; Do this in moderation as it is hard to wash out. Wash/condition/dry your hair as usual. It may take a few treatments before dandruff is gone, but chances are, you'll notice results sooner than later.